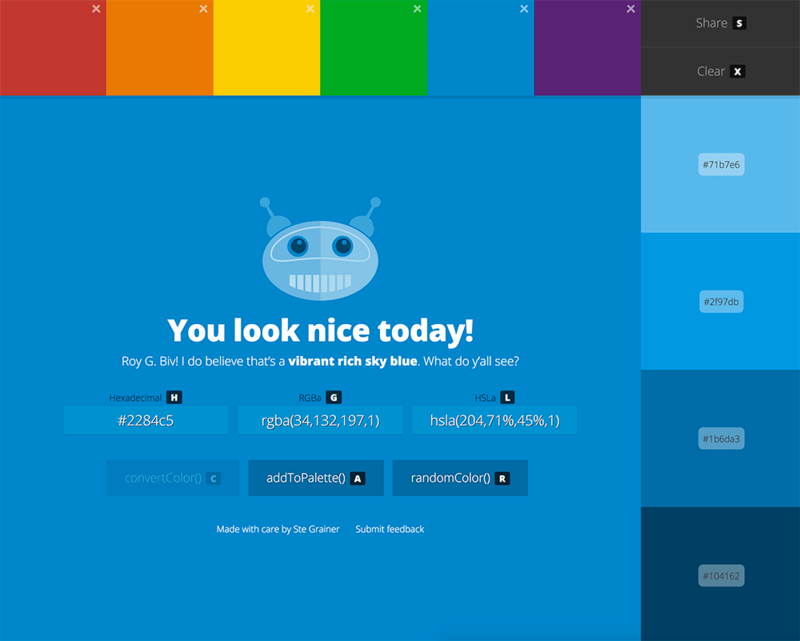 Create and share color palettes. Convert between hexadecimal, RGB, and HSL values. Get tints and shades of a color. Or get the name of a color. ColorBot was built to be a fast, easy to use, and accessible tool for working with colors. Easily convert between hexadecimal, RGB, and HSL values for any color values. For those times when you need lighter or darker versions of a color you're already using. Notice a weird bug? Got an idea to make ColorBot even better? Whatever it is, let me know and I'll work to make ColorBot even better. Thanks so much!